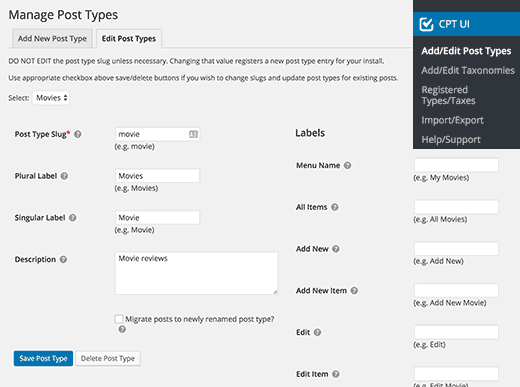 How to add categories to a custom post type in WordPress? I want to add category to custom post type. Recently one of our user asked us if it was possible to add category to a custom post-type they have created. Categories are one of the built-in taxonomy in WordPress. By default they appear only for posts. However, in some scenarios you may want to share them with a custom post type as well. 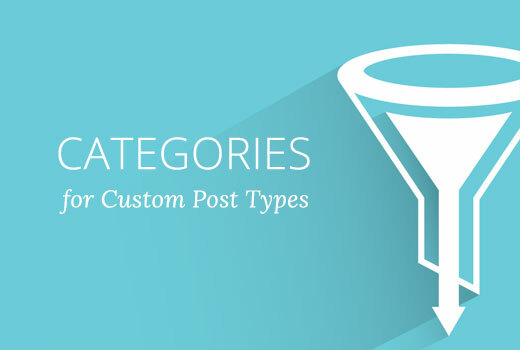 In this article, we will show you how to add categories to a custom post type in WordPress. We will also show you how to display multiple post types on your category archive page. For our beginner level users, we recommend using Custom Post Type UI plugin to creat custom post type. 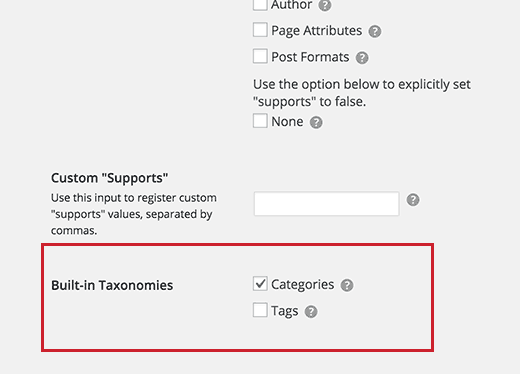 When using Custom Post Type UI plugin, you have the option to associate your custom post type to any built-in or custom taxonomy including categories. First you need to install and activate the custom post type ui plugin. For more details, see our step by step guide on how to install plug in. Upon installation, you need to visit CPT UI » Add/Edit Post Types to create a new custom post type or edit an existing custom post type you created with the plugin. Scroll down on the Advanced Options to the bottom and there you will see the Built in Taxnomies option. Check the box next to categories and save your custom post type. Don’t forget to click on the save post type button to store your settings. If you created your custom post type by adding the code in your theme’s functiontype.php file or a site-specific plugins, then you will have to modify the code to add category as supported taxonomy. All you need to do is add this line in the arguments for your CPT. Here is a full example code where we have created a custom post type called movies with support for built-in categories. By default the catagory pages on your WordPress site will only display the default ‘Posts’ post type. To display your custom post types on the same category page as your default posts, you need to add this code into your theme’s functions.php or a site-specific plugin. $post_type = array('nav_menu_item', 'post', 'movies'); // don't forget nav_menu_item to allow menus to work! Don’t forget to replace movies with the name of your own custom post type.